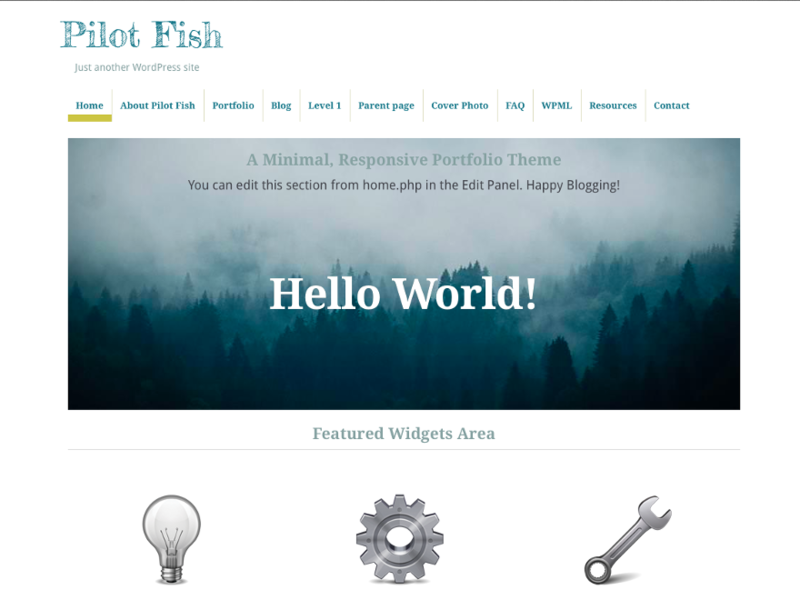 Pilot Fish is an elegant portfolio theme with minimal design: featuring a custom post type to highlight projects and work, and parallax scrolling on the front page to display a featured image. Responsive layout makes it adaptive to mobile devices. Also Pilot Fish supports custom menus, post formats, and is available in Japanese, Spanish, Russian, Dutch and German. Disclaimer: if you modified code in the original theme then an update will erase all your changes. So please either ignore this release or back up your changes.